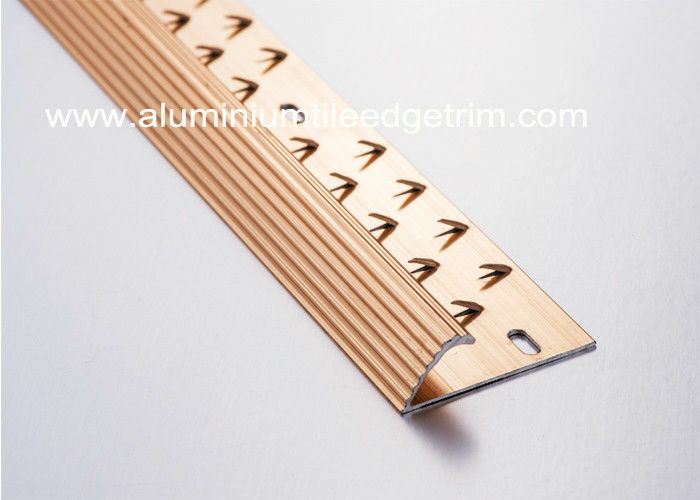 Our Single Edge Metal Carpet Edging trim is suitable for bathrooms, living rooms, kitchens and bathrooms. 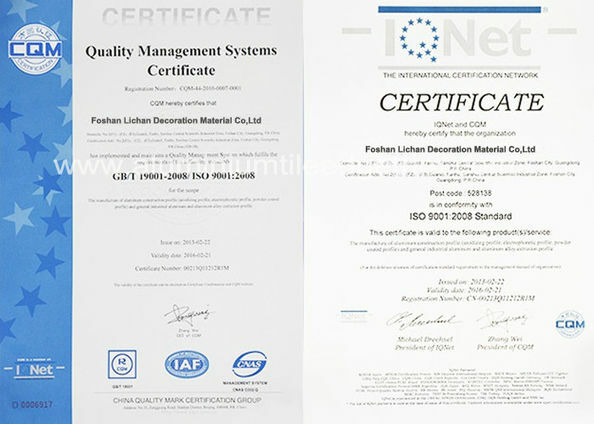 This product is used to conceal and protect the edges of carpets that would otherwise be exposed. 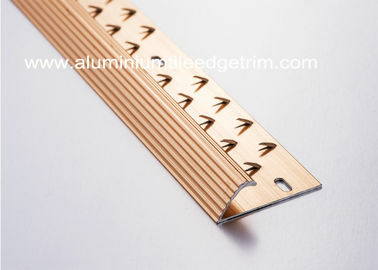 Single Edge Metal Carpet Edge Trim suitable for ending carpet to vinyl finishes. You can also use this single edge carpet edge trim as door bars for ending carpet to no flooring , when the joining area has floorboards .With pre drilled teeth for fixing and carpet grip spikes for holding carpet in position after being stretched. 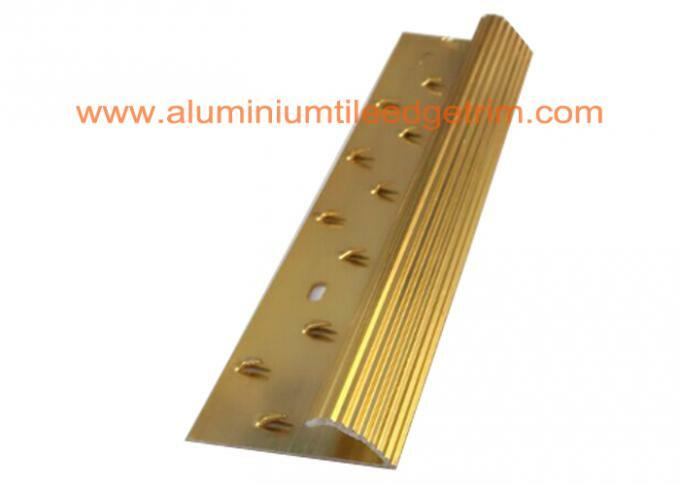 This Single Edge Metal Carpet Edge Trim can be used as threshold plates at doorways, instead of carpet gripper to join the next room or hallway flooring. The deep groove on one edge has anti slip function. Available in different surface finish, anodized copper is more modern household or the more traditional home brass effect. application When choosing the colour of your door bar threshold plates remember to match with existing door handles and light fittings. Lengths is enough to cover the doorways of an average sized house. Easy to cut and install aluminium. shiny gold metal carpet edge trim with anti slip function!